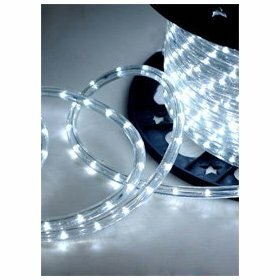 This is a 12 Voltage LED rope light, please don't plug into 110v household power outlet. You will burn the rope light instantly. 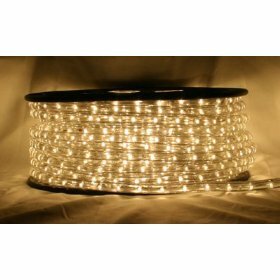 If you need to plug it into household outlet directly, please check out our 110 Voltage LED rope light. For more information, please contact our sale representative. 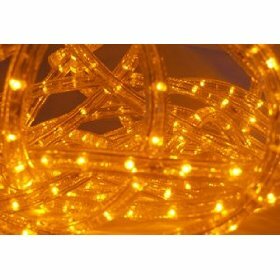 ***CBconcept is proudly introduce you this beautiful LED rope light, where it offers unparallel advantage over traditional incandescent rope light. Its brightness, almost twice as brighter. 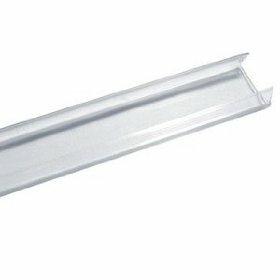 Its low energy consumption, use as little as 10% to 15% compare to incandescent, and its long useful life, as much as 30 times more. 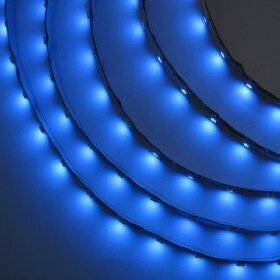 Most of all, its beautiful color is unfound in incandescent lighting. With its flexibility, safety, and long lasting features, it's an ideal lighting for your home decorative project. Very popular with Walkways, Tree trunks, Hallways, Garage Door Frames, Stairs, Palm Trees, Dancing Rooms, Street Lamps, Arbors & trellises, Playhouses, Backyard Cottages, Sandboxes, Garden Houses, Gazebos, and Pergolas. ADDITIONAL ACCESSORY and Other LENGTH package, please see our store for more options or contact our friendly sales representative.